Understanding Performance: Multiple Gaze: Persistence of Memory I: Portrait of an artist as a young man: Multiplied Vantage Points and "Bourgeois Family: Mirror Frieze, 2001"
Persistence of Memory I: Portrait of an artist as a young man: Multiplied Vantage Points and "Bourgeois Family: Mirror Frieze, 2001"
Multiplied Vantage Points and "Bourgeois Family: Mirror Frieze, 2001"
Here is an image with a riddle like arrangement of subjects and viewpoints. 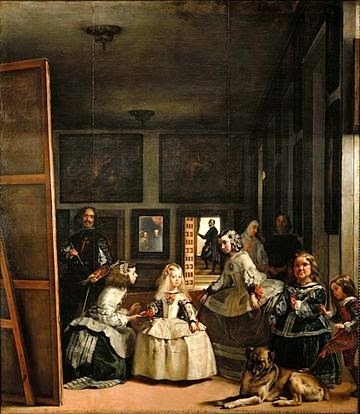 The complexity and the sense of multiplicity within the composition is only comparable to that of Velazquez's "Las Meninas". The similarly or resemblance is felt not only due to complexity of composition, but also for the woven out maze or labyrinth of gaze within the subjects. The composition is 'theatrical'. It is theatrical in the way we usually mean by the term, but also the way Philip Auslander tries to identify two major approaches in documented performance or performance photography. "From a traditional perspective, the documentary and theatrical categories are mutually exclusive. 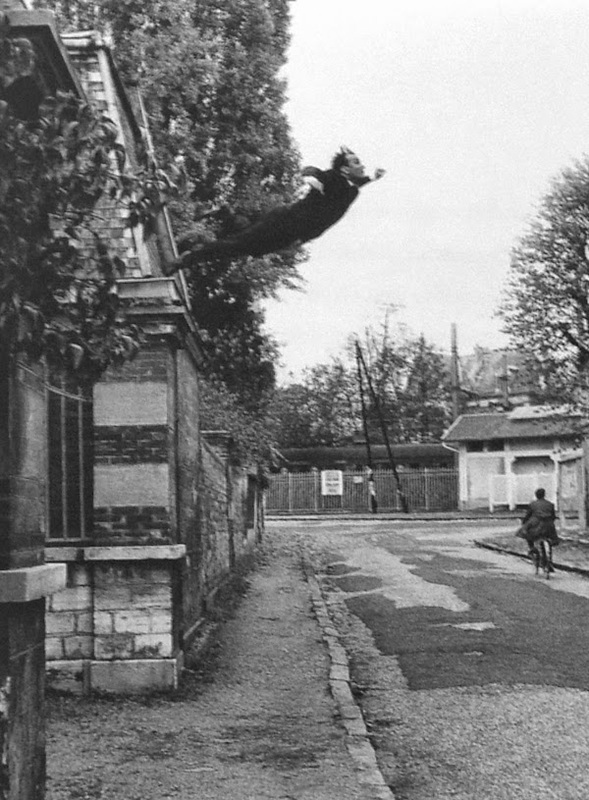 If one insists upon the ontological relationship by demanding that, to qualify as a performance, an event must have an autonomous existence prior to its documentation, then the events underlying the works in the second category are not performances at all and the images are not documents, but something else, another kind of art work perhaps (the phrase “performed photography,” for instance, suggests that such works be understood as a kind of photograph rather than as performances). From a different perspective, however, the two categories appear to have much in common. Although it is true that the theatrical images in the second category either had no significant audience other than the camera or could have had no such audience (because they never took place in real space), it is equally true that the images in both categories were staged for the camera". We shall come down to that discussion after a while. However, saying theatrical in its regular sense, there is a point of paradox to notice that, unlike any other commonly appearing proscenium-theatre-visuals, the 'real' characters in the frame are not facing the 'real' spectator, but giving back to the audience- which is a taught as a fault in proscenium stage acting. What frontal to the audience are the mirror reflections: the reflected selves. 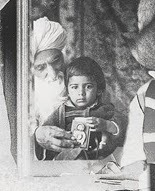 Other than the reflected selves being frontal in appearance, second interesting matter in the composition is that there are about three characters in the composition who does not have even 'real' /corporeal presence, but only reflections: the old man (Umrao Sing Sher Gil), the child or grandchild on his lap (Vivan Sundaram himself) in the left of the work, and on the right a woman (Amrita Sher Gil) with a cap. Though three 'real' persona are there in front of the mirrors, dissimilarly there are about six reflected beings that are visible to us. Thus, by the frontality, and by numbers, the reflected self/selves has dominance here over the 'real' physical existence. Third point to notice is the gazes of the central three characters that are actually lost in the reflected selves. 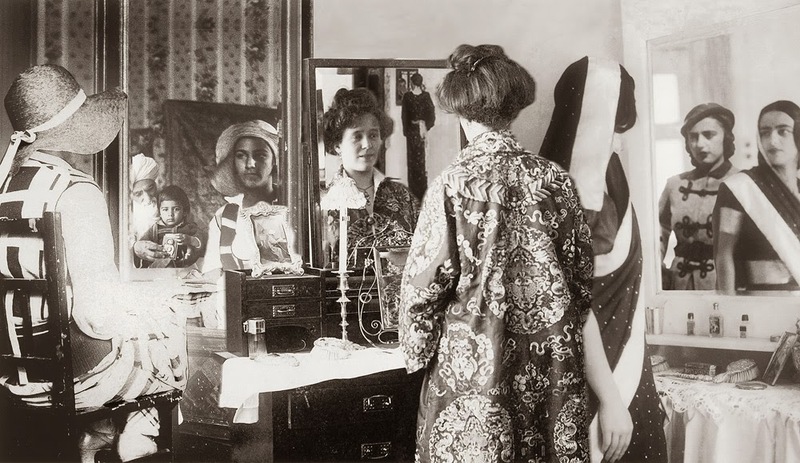 The woman in hat at the left corner is looking at herself. The lady (the mother) at center stage is looking at herself. The lady in Indian Saree at the right corner is also looking at herself. The woman behind the woman in saree is seemingly looking back at the spectator of the artwork, but maybe she is actually looking at her own-self only, since we have not seen her physical spatial location in regard of the mirror within the composition. There is, however, a grandfather who is not looking at the self, and a grandchild who also is not looking at the self. In fact, the grandchild is the only character who is looking back or gazing back at the spectator of the art work, being the subject of it. The grandchild is none but the artist of the artwork, the creator of the composition, the first onlooker of the visual schema, Vivan Sundaram, as he says in a video at Tate, Modern, 2007, "...I have double portrait of amrita as European and Indian, I have the mother looking at herself and I am seated on my grandfather's lap with the camera and so in a sense as if I'm taking this photograph". So as he portrays himself "as if" himself is taking the photograph, that establishes that the artist is portraying the self as the creator. 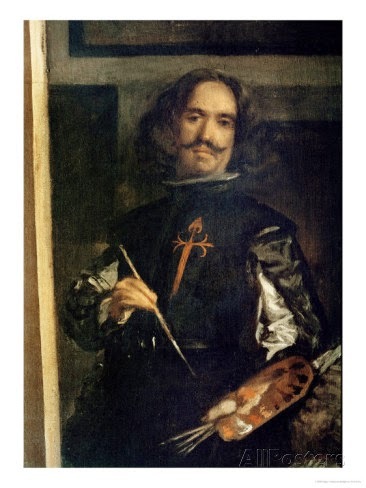 Here one can find another striking resemblance with that of Velazquez's and many other works of the time where the artist presented the self as artist and the time when "Artists' studio" remained a frequently appearing subject matter. Thus could this work of art be named as "Artist's Studio"? Fourthly, almost all the characters in this play are playing the role of a spectator instead of a mere performer. If they are performing, they are performing the insights and gazes. Before we see the performers, the performers themselves are looking at them. In that way we are only the second layered audience. The staging of the characters, despite of the plurality of bodily presence, gives a sense of interior monologues, not outward modulation. Here are multiple monologues co-existing simultaneously. Fifth aspect to observe: there are multiple vantage points being polarize. The complexity is celebrated, almost deliberately, across the gazes, spatial positioning of corporeal and reflected ones as stated already. Moreover, the complexities are there with regard to the presence of multiple generations within the same frame , as well as, with the cross-cultural identities (European and Indian) embodied by the dress-codes. 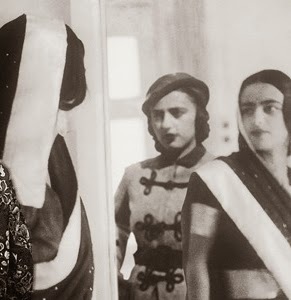 As Vivan Sundaram states, "Amrita Sher Gil is of mixed parentage- mother Hungarian, father Sikh, born in 1913 and in fact died when she was just 28 years old and those 28 years she spent half of bit in Europe and half of bit in India. Her training was in Paris and so therefore there was a strong influence of school of Paris of the 30s. 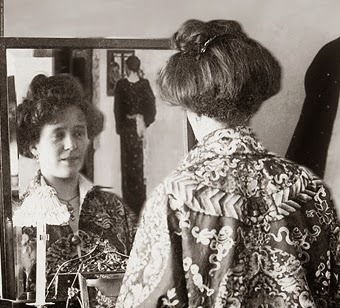 But she liked the modernism not of very much avant garde type but a kind of realism that evolved between the two wars. And in a sense that informed some perspectives on the human figure. ... there is a tendency in Indian writings on her .. she abandoned everything from the west and suddenly came to India, but that's not correct...". Thus the complexity has a thematic origin, "...to be able to transform these into various levels of relationships, ... but also it's about east and west identity, about modernity...". "Vivan Sundaram is the grandchild of Umrao Singh and nephew of Amrita Sher-Gil. In 1984 he created a large-format painting "The Sher-Gil Archive", and in 2001/2002 the cycle of digitally processed photographs "Re-take of Amrita". Re-take means to re-shoot a scene. 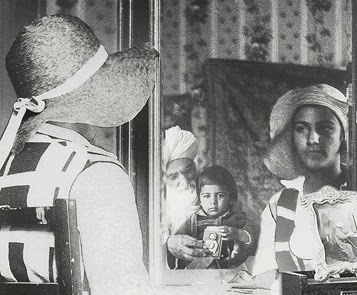 Vivan Sundaram chooses particular moments and guides attention, via specific arrangements, to the hidden expressions in the found images of the family. Under his direction the protagonists give a second performance and go a step farther than was initially intended. The effect that springs from the confrontation of female and male narcissism, the father's intense visual interest in his daughter, as well as the duplication of a figure, is increased here to a perturbing degree. Without expanding on the idea, Amrita herself once spoke of the "hothouse atmosphere" that dominated her family life. In "Re-take of Amrita" it becomes obvious what she may have meant by this". "In addition, Vivan Sundaram charges the spiritual atmosphere, which is characterized by oscillating between cultures, with a kind of pathos. The artificiality of his arrangements remains, however, constantly present for the viewer. In this way, his position enters the works as a contemporary artist, who views this pathos at a distance since the ideas of home and abroad and of residing and traveling have been qualified as opposites for him". "Bourgeois Family: Mirror Frieze, 2001" could be a perfect example to start a series of discussions on "documenting a performance", "Performance Documentation", "Performance Photography and so on. The exhibition catalogue is published by Schirmer / Mosel. Penguin India published a biography of Amrita Sher-Gil in 2006 and Vivan Sundaram will edit "The Letters and Writings by Amrita" for Tulika Press in New Delhi. In cooperation with the National Gallery of Modern Art, New Delhi, Ministry of Culture, Government of India, New Delhi, and the Goethe-Institute, New Delhi. 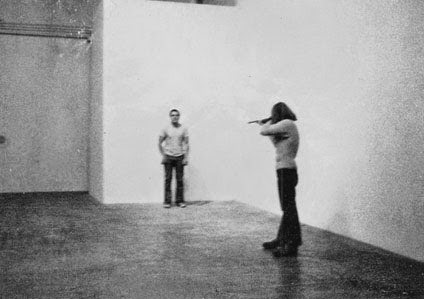 Rebecca, continues: “… Why can a performance not take place as a photograph? We are habituated, for example, to thinking of the ‘present’ as singular, unfolding a linear temporality that is, to my mind, problematic. Given my trouble with linear time, I have been very interested in the fact that theatricality demands a simultaneity of temporal registers – the always at least ‘double’ aspect of the theatrical, about which Gertrude Stein remarked that the “endless trouble” of theatre is its syncopated time. To this end I have been looking for what Homi K. Bhabha has termed “temporal lag”, and which Elizabeth Freeman has spun to “temporal drag”. These tropes have lately afforded me a productive set of tools to apply to the effort to articulate the longstanding interinanimation of live media (such as performance) with media of capture, or media-resulting documents or objects or images (such as photography).